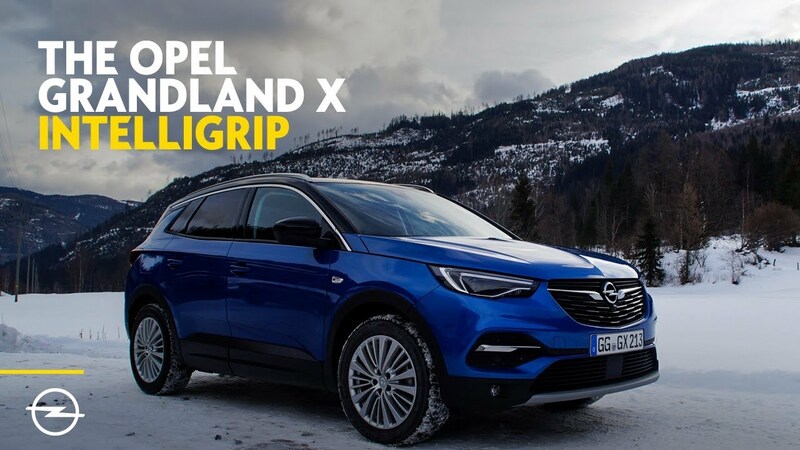 Drivers who want a compact SUV offering style and efficiency, along with a host of safety and driver assistance systems, need look no further than the new Opel Grandland X with the optional IntelliGrip adaptive traction control system. IntelliGrip enables optimum traction and stability on all kinds of surface. Depending on the driving conditions, the driver of the front-wheel drive Grandland X simply selects the appropriate traction control mode via the rotary dial on the centre console. The electronics then immediately adapt torque distribution to the wheels and the ESP to the selected mode. “The Opel Grandland X SUV offers numerous innovations such as 360-degree camera, adaptive full-LED headlights and certified ergonomic seats, which make driving safer and more fun. And thanks to IntelliGrip technology, drivers can enjoy these benefits at any time, on a variety of road surfaces”, said Peter Küspert, Managing Director Sales and Marketing. Normal / On-road: ‘Normal mode’ is activated as soon as the Grandland X is started. ESP and traction control are calibrated for normal driving conditions downtown, on the motorway or in the countryside. The innovative IntelliGrip technology is available with all powertrain combinations of the Grandland X as part of the optional ‘All Road Pack’, together with five-spoke 7.5J x 18-inch light alloy wheels and 225/55 R18 all-season tyres, on SC, SRi and Elite model variants. The All Road Pack starts at €290, depending on selected trim level.